First sentence: "The arrogance of my youth is past - middle age has crept upon me." Publisher's Summary: "Dante’s Inferno in COMIC BOOK Format! Never before has Dante's classic masterpiece been presented in this way. Now you can experience this major work of world literature in a simplified adaptation. The storyboard is made up of the powerful illustrations by Gustave Doré. The easy to understand narrative is by Joseph Lanzara, author of the popular “Plain English” versions of Paradise Lost and Romeo and Juliet. This graphic novel pulls no punches. Dante’s harrowing journey through Hell is not for the squeamish. 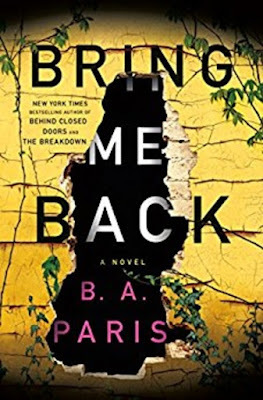 It is a powerful, but ultimately inspiring story of sin, punishment, self-sacrifice and redemption. " Acquired: Received a review copy from the author. Reason for Reading: Even though I have never read the original Dante's "The Divine Comedy", I am a fan of the story and I absolutely love Gustave Dore's engravings. This comic book version of "Inferno" immensely intrigued me. What an absolutely "divine" adaptation of Dante's Inferno into comic book format! Truly a masterpiece use of the graphic format. Here Lanzara has taken Dante's seminal work and reduced it to a simplified, easy to read retelling which still contains the essential meat of the original plot. Even though not drawn until 500 years later, Dante just wouldn't be Dante without Gustave Dore's illustrations to the the modern reader. And Lanzara has managed to gather together a magnificent collection of Dore's work from "The Divine Comedy" to match up with his text perfectly that tells a smooth cohesive story of Dante's passage through the nine levels of Hell accompanied by Virgil, as he then reaches the ghost of his beloved Beatrice who quickly guides him through Heaven. But it is Dante's one act of selfless love halfway through the story that will end up being his redeeming glory. 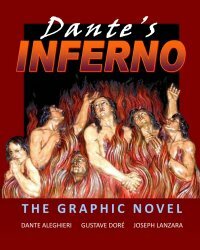 A wonderful introduction to Dante's Inferno and a highly recommended comic. I see the author, Joseph Lanzara, is also the author of "Paradise Lost: The Novel Based Upon the Epic Poem" which has received good reviews. The same treatment of "The Divine Comedy" would certainly be appreciated by this reader!